For us, Cuba-Junky, we prefer Trinidad and Vinales to enjoy the less crowded open air nightlife with life music and alot of salsa. For those who prefer the crowded salsa clubs go to the Casa la Musica, Club Torquino and other dancng places in Havana. Jazz lovers will find the best in Havana at clubs like La Zorra y el Cuervo. Salsa, Reggaeton, Conga, and Son Montuno. 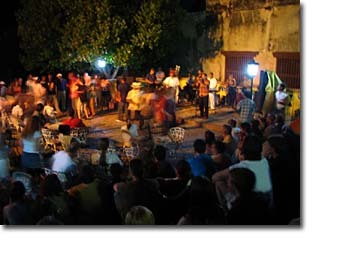 Music, dancing, beer and rum, they are to be found in every Cuban city, town or village. The Cubans are the best salsa teachers, you will really enjoy Cuba's nightlife. 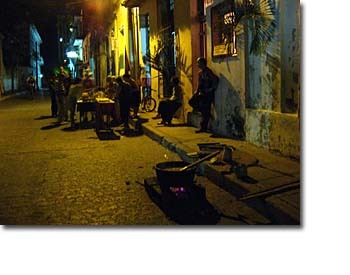 The real Cuban parties are held in each others homes and apartments, and not outside. Cubans like to party in this way with friends and family. At especially big parties they will roast a pig and wash it down with Cuban rum. The rum is oftentimes of the 'homemade' variety, so watch out, as it's got a 'kick'! Cuba is a macho society like most Latino countries, there is tolerance of gay people, and gay travelers will not generally encounter any problems. However, the Cuban Association for Gays and Lesbians, formed in 1994, operated until 1997 when it was finally suppressed by the government. There are no laws against homosexuality and assaults are rare. There are no gay state bars and clubs in Havana. Entertainment and nightlife centres around private parties. 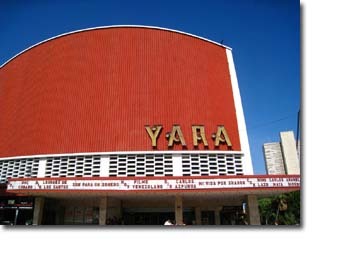 The location of where the action takes place is not so discreetly communicated in front of the Yara cinema on La Rampa. Most taxi drivers in front of this cinema know where to bring you. Entertainment can include anything. Charges are usually in pesos although as a foreigner you may be expected to pay in convertible pesos, usually around 1 CUC. From the world of film, see Antes que Anochezca and Fresa y Chocolate (Strawberry and Choclate). When you celebrate these days in a resort, the hotel probably has arranged a party for all the guests. It is usual you have to pay something extra for it, even if you have booked an All Inclusive service. 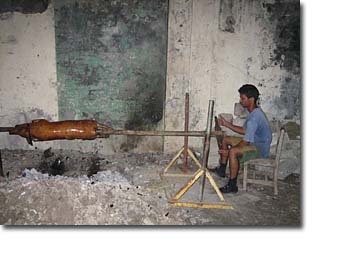 Remind that it is NOT the Cuban way of celebrating Holidays. Free concerts are sometimes offered in the local city or town's 'Plaza de la Revolution', which are usually centrally located. Most cities have a 'Casa de la Trova' or 'Casa de la Musica' where live concerts may be enjoyed. Conga is a dance coming from Afro-Cuban influences. In all congo dances the movements are clearly directed toward the earth and the movements are strong, forceful and loose.